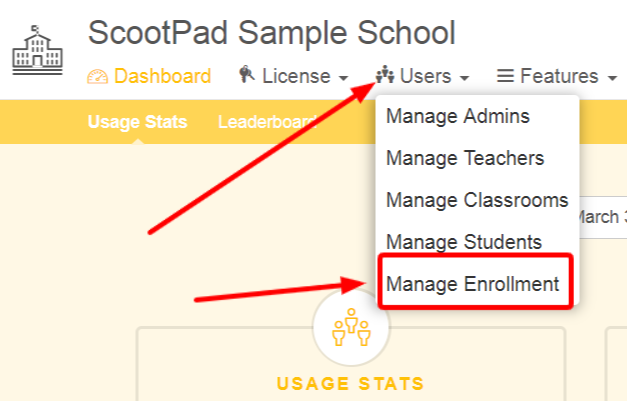 The Manage Enrollment feature allows for an Admin to Manage the Enrollment of Students at the school. 7. 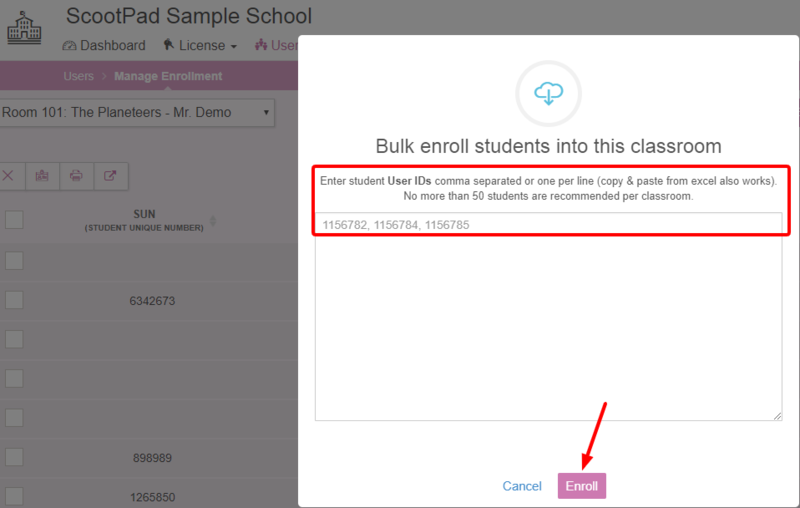 To Bulk Enroll students into the selected classroom click on bulk enroll. Enter student User IDs (what students will use to sign in) comma separated or one per line (copy & paste from excel also works). No more than 50 students are recommended per classroom. 9. 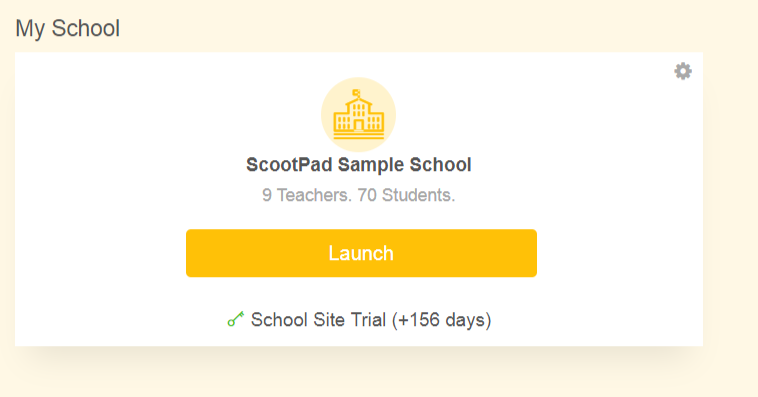 To Un-enroll more than one classroom at a time, click on Users>Manage Classrooms. 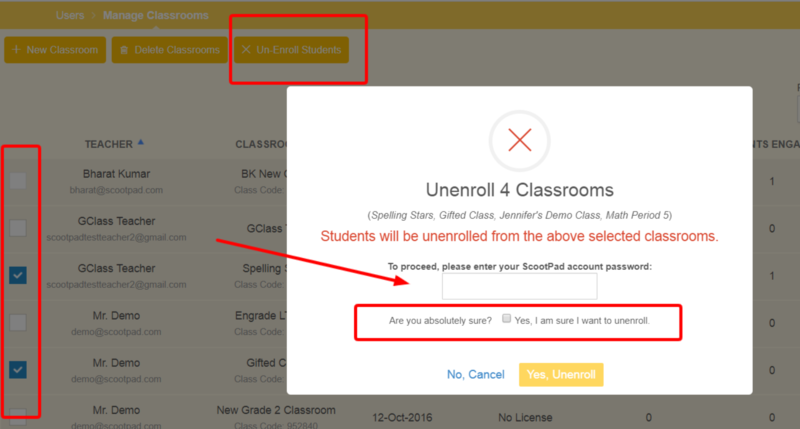 Select the specific classrooms and click Un-enroll students. 10. 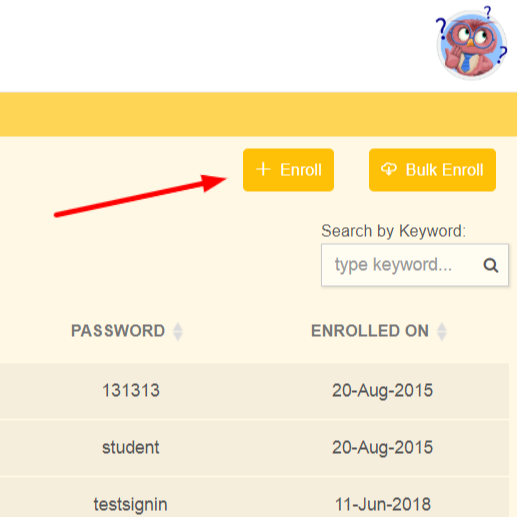 To manage which classrooms an individual student is enrolled in, click on Users>Manage Students. Then click the review hyperlink to see the classrooms. Click unenroll to remove a student from a classroom.